Angina is the symptom of chest pain that is caused when an area of heart muscle does not receive enough oxygen rich blood supply due to a narrowing in one of the coronary arteries. It is characterised by a tight squeezing sensation across the chest during physical exertion (walking, climbing stairs etc), that can often feel like a tight band across the chest, but can also spread or appear in the back, left arm, and the jaw. 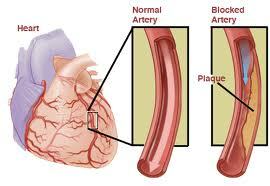 It is a symptom of coronary heart disease and can be diagnosed with an exercise stress test as well as other tests. 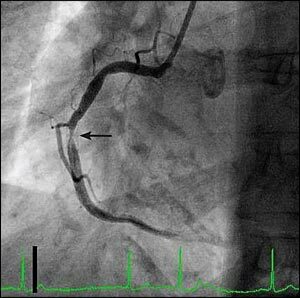 The diagnosis is confirmed with coronary angiography which is an invasive test during which x-ray pictures of the coronary arteries are taken whilst a special contrast is injected into them. Treatment focuses in relieving symptoms and allowing more exercise and functional ability to the patient as well as preventing heart attacks and death. Treatment varies from medications only (in mild cases) to more invasive strategies to relieve the coronary narrowings with coronary angioplasty (balloons and stents) or by-pass operation.